We deliver to Muskogee, Ft Gibson, Tahlequah, Braggs, Gore, Warner, Wagoner, Okay, Oktaha, Haskell, Porter, Stigler, Eufaula, Checotah, Coweta, Broken Arrow, Tulsa, Collinsville, Owasso, Sapulpa, Jenks, Bixby, Beggs, Okmulgee, Morris, & Pryor. The concept of dunking the boss at the company picnic, or dunking the local "celebrity" at fundraiser events has become an American pastime. 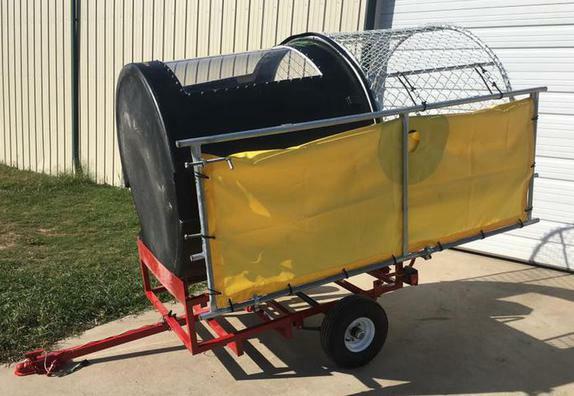 Our Dunk Tank is trailer-mounted for easy transportation and sets up in two minutes without any tools. It also has a lexan window where you will see the person when they are dunked. 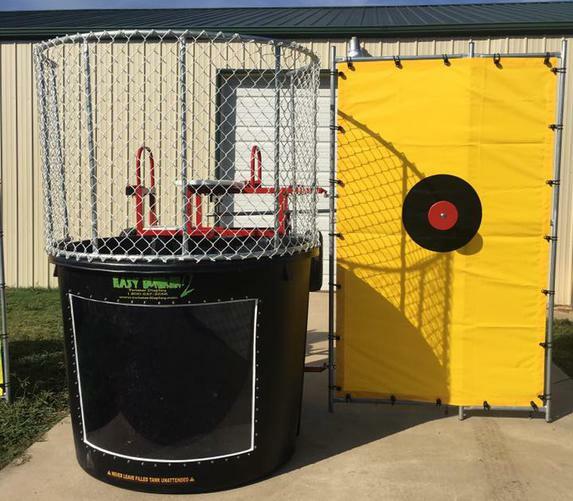 Dunk Tank is picked up at our warehouse in Muskogee between 8:00am-9:00am and returned the same day between 7:00pm-8:00pm. Delivery Price is for a 8 hour rental. You select the time you would like the Dunk Tank ready, we deliver and set it up before that set time, and then come back to take it down after your event is over. You are responsible for filling it with water. Rentals for longer than 8 hours, additional fees apply. Delivery price subject to specific areas. Click below to receive instant price quote! $50 non-refundable deposit required at time of booking per Inflatable. Deposit must be paid with credit card. Remaining balance due at delivery. We accept cash, Visa, Mastercard, & Discover. We do NOT accept personal checks! ​Church and School checks are accepted! Price stated above does not include sales tax.